Easy Rider, Boogie Nights, O Brother, Where Art Thou?, Pulp Fiction. What do these films have in common? Fantastic soundtracks. But what if the soundtrack preceded the movie concepts and producers were asked to build their storyline around the music? 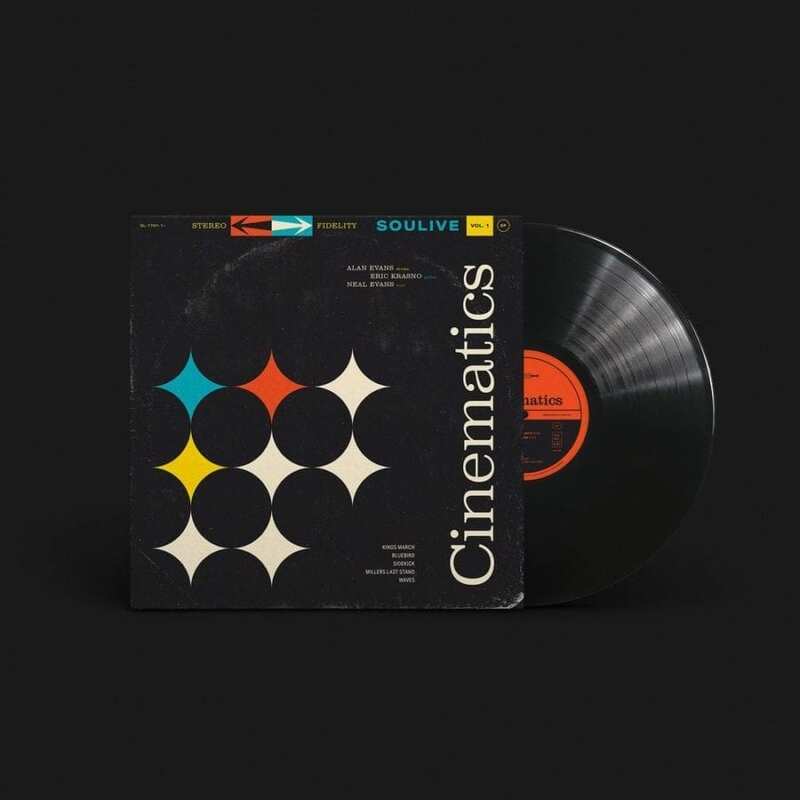 This is the question that New York’s funk trio Soulive takes aim at with their new EP, Cinematics, Vol. 1. The “Ad Lib” puzzle of carefully crafted soundtrack material begins with “Kings March,” a vintage villain theme song for any 70’s James Bond flick. When the movie theater displays the rules before the film begins, they always ask you to “turn your goddamn phone off” in the politest way possible and occasionally they will add some universally intimidating music to the background. That is “Kings March.” “Bluebird” is the easy rider of the 5-pack EP and offers listeners the opportunity to mellow out and grab some more popcorn. Imagine a drug-dealing montage where everything is going well in the storyline… there is probably trouble and intensity lurking but it is the mystery that keeps us entertained and “Bluebird” is the sound heard in the backdrop. 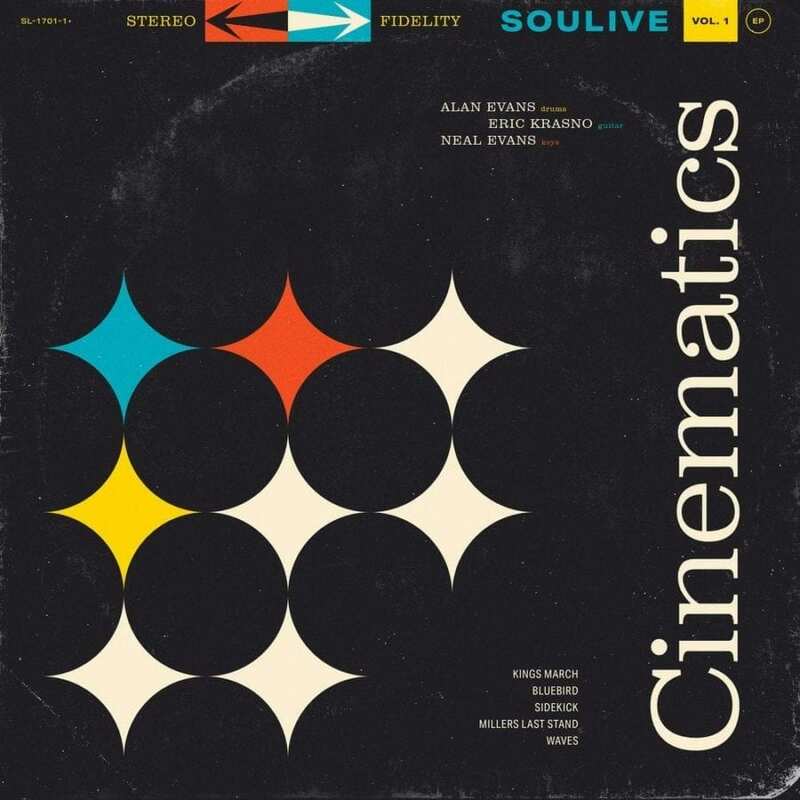 “Sidekick” sits in the middle of ‘Cinematics’ and highlights Neal’s ability to blast some interstellar effects into the number. Serving as a platform to give Robin some love in a world of Bruce Wayne, “Sidekick” reintroduces us to the Soulive studio time we have been asking about for the better half of a decade. Authentically groovy with a psychedelic backdrop, this track will hopefully find itself sampled on the next Wu-Tang Clan album. Quentin Tarantino would kill for the rights to use “Millers Last Stand,” the spaghetti western infused cocktail that can be ordered on the newest Soulive menu. Krasno’s wobbly guitar is at a standoff with Alan’s whip cracking drum kit and creates a sonic landscape as vast as the desert for listeners to explore. The EP comes to a crashing finish with “Waves,” the calm, salt-water soaked ditty that gives our imaginary character some alone time to tell Sandy she’s the one that he wants. The beauty of jazz is that like a great film, it is timeless and thought-provoking. 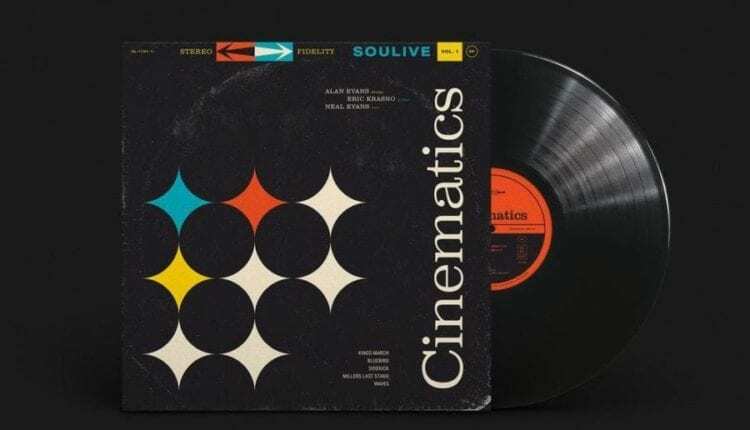 Soulive can throw these tunes into any of their cataloged creations and fans might not tell the difference, but it is the way they place each track into a story that gives it power. While ‘Cinematics, Vol. 1’ will not win an Oscar, the next all-star director may throw on some headphones and space out to the mix, finding the next ET, Dirty Harry, or Black Panther.